The Professional Regulation Commission (PRC) has announced the schedule of initial registration for the passers of August 17, 2014 Licensure Exam for Professional Teachers (LET). PRC said that all those who passed the LET (Manila passers only), the schedule of their initial registration will be at the PRC-Registration Division (PRC Main Building, Manila). Registration for Elementary will start on Wednesday, November 5, 2014 to Thursday, November 13, 2014. 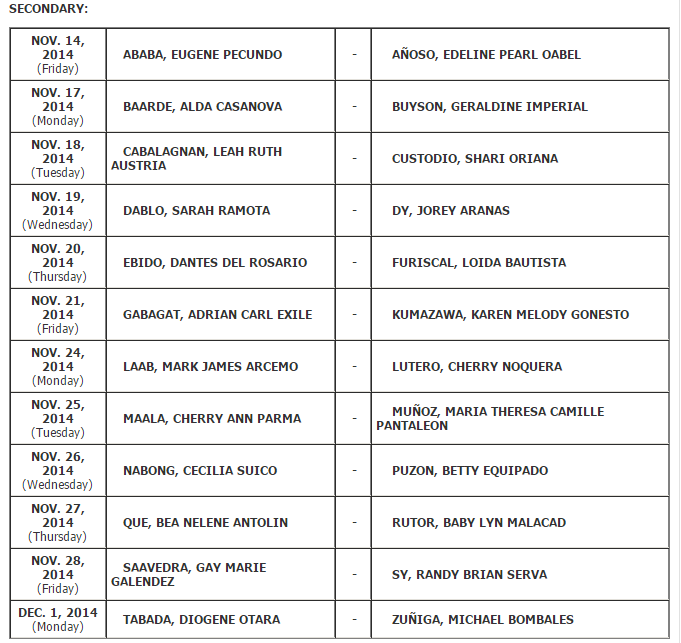 For Secondary Level, first batch of registrants will be accepted on Friday, November 14, 2014 until Monday, December 1, 2014. Registrants are advised to download the Oath Forms HERE, and to bring their duly accomplished Oath Forms during their schedule for registration. Registrants are also advised to strictly observe the schedule for initial registration to avoid any inconvenience.